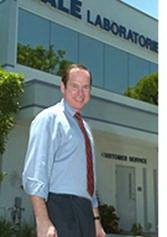 We appreciate your choosing our Dale Laboratories’ iPrints/ROES Professional service. You can count on us to always do our best to make your photographic experience at Dale Laboratories as easy and enjoyable as possible. The tutorials and tips listed here should answer most of your questions. But, if you ever run into a problem, please call us Toll Free at (800) 327-1776. This fast, illustrated guide will show you how to use ROES in just a couple minutes. Print the layout of the ROES window and you can use it as an easy reference to find the on-screen tools you need. A slightly longer, illustrated guide will walk you through the steps in using ROES in about 10 minutes. This user’s manual will show you all of the tools in ROES and contains useful tips on how to organize and order your prints. We provide you with hundreds of pre-designed templates you can use to give your clients unique photographic prints and products. With our templates you can change backgrounds and effects instantly so that you can create one-of-a kind designer prints in just seconds. The Pager option extends this ability even farther. It gives you the ability to design, use and save your own personal designs as print templates. Once designed, you can use your custom templates over and over, as easily as the ones we provide. You’ll just drag and drop images into your templates and be able to quickly order enlargements. Individual nodes can be modified on the fly to change their size, shape or rotation. An example of how you might want to use the Pager option in a smart, practical way would be when you design Montages. A montage can be simply created by clicking on first on the Pager icon and then on the Montage icon . You’ll be prompted to specify the number of frames (nodes) across and down you want in your picture. You can choose to keep all of the frames selected or you can use the Edit tool to change the size of individual nodes by deleting some and expanding or shrinking others. Perhaps you’ll want to add text nodes, as well. When you have the montage you want you can use it for your current job or client. Then, click on the Save icon and provide a descriptive name for your layout. You’ll be able to retrieve the layout at any time in the future and create a montage with new images simply by dragging and dropping them into the nodes within your layout. So, your initial design work will be rewarded over and over. These tutorials will give you some valuable tips on how to create and use Pager designed templates. Collages put the art in your layouts. This illustrated guide will show you how to produce beautiful collages the easy way. Montages are orderly groups of photographs laid out on a single photographic enlargement. We’ll show you with easy-to-understand pictures how to produce these attractive…and profitable…montage prints quickly and efficiently. We offer fourteen (14) attractive type fonts for you choose from on Magazine Proof covers, Design Your Own enlargements and various other template designs. 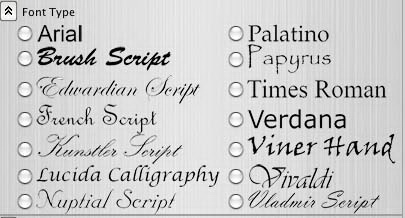 Any of our fonts may be selected simply by clicking on a radio button within Options on the designs where they are available. Please note that Options Fonts will not appear on your monitor image unless you have that exact font in your computer’s system. (The type style you’ll see in your on-screen layout will probably be Arial.) Correctly rendered type of the selected font will print properly…in the style you’ve chosen…on the enlargements we make for you. 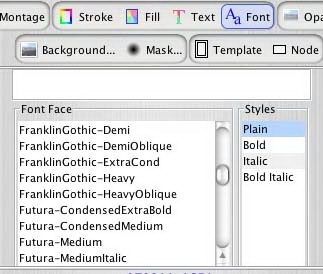 You may also include fonts from your computer system in your designed layouts by clicking on in the Design Your Own catalogs. However, since these fonts will be rendered as picture nodes on your enlargement they may not be as sharp as our option fonts, which are rendered directly through our printing program. So, we’d suggest using our Option Fonts wherever possible. Here is what you will see on your monitor when you choose to use a font from your computer’s system. You simply have to click on your choice of font and insert it in the text node you have created on your template.